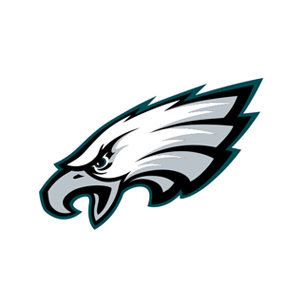 The Philadelphia Eagles promote responsible drinking and positive fan behavior at Lincoln Financial Field. The Eagles alcohol management plan ensures that fans have a safe and fun experience. Continuing inappropriate behavior may result in the Guest being ejected, arrested by police, or having his/her tickets revoked. All Season Ticket Holders are responsible for their conduct as well as the conduct of their Guests and/or persons using their tickets. Guests are encouraged to report issues and concerns to a nearby Usher or Event Security by calling the In-Stadium hotline at (267) 570-4444. Tailgating is open 5 hours before an Eagles game at designated parking areas. Tailgating is not permitted in the parking lots north of Pattison Avenue and west of Darien Street (Lots Q-W and the lot near the Nova Care Complex.) You can obtain a map of these parking areas by clicking:www.LincolnFinancialField.com/stadiuminfo/maps. There are 11 designated-driver locations at Lincoln Financial Field, including 4 Guest Services booths and 1 free-standing location at Headhouse Plaza and 8 concierge desks in the premium areas. Partners in the designated-driver program at Lincoln Financial Field include the MillerCoors “You Hold the Key. Never Drive Drunk.” program and MADD. Fans who pledge to be designated drivers receive a complimentary soft drink and a chance to be selected as the Designated Driver for the Game. Designated Drivers for the Game receive a special prize from the Eagles.